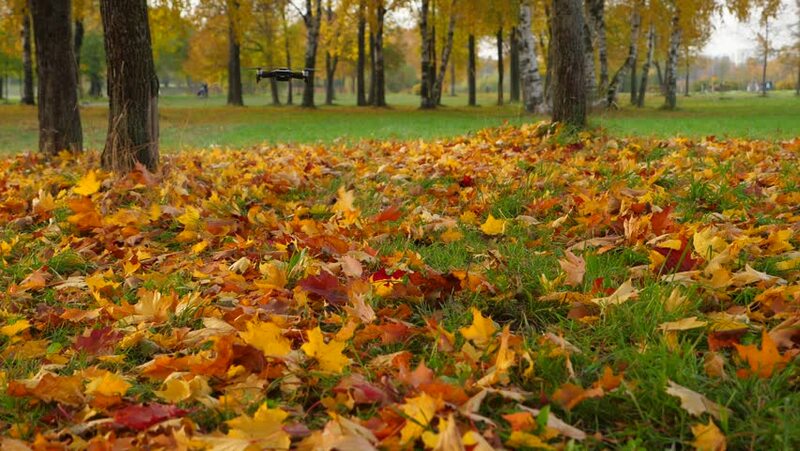 Quadcopter fly near ground, fallen maple leaves fly away from under small drone, blow by powerful air flow from four propellers. Slow motion shot. Nice autumn colours at city park. 4k00:07Slide on deepening into autumn foliage.